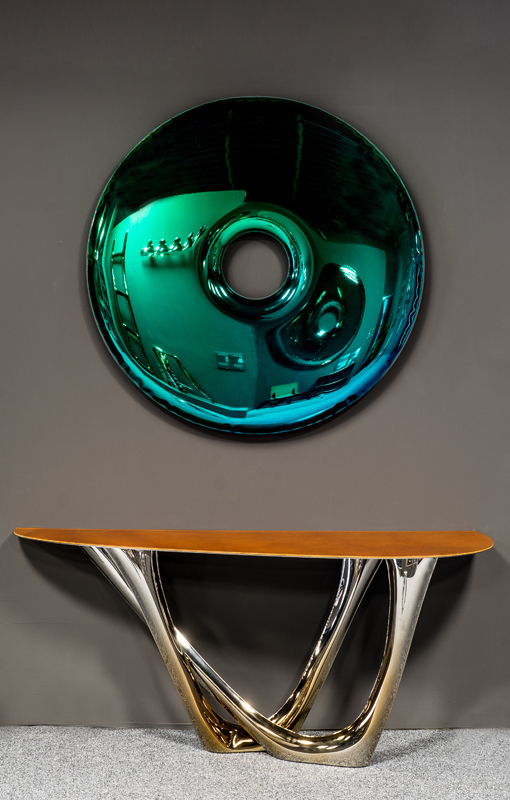 The HEAT uses high temperature as a rarely used method of steel coloring. 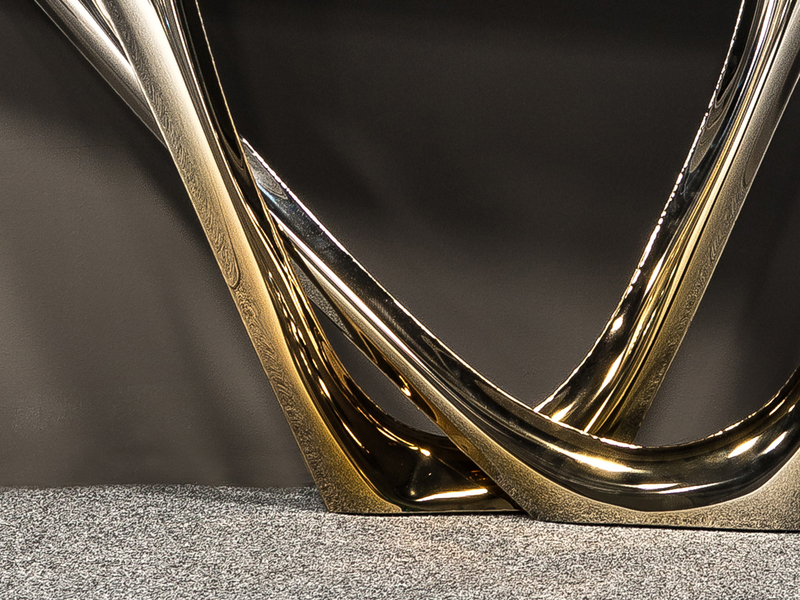 Excellent craftsmanship allows to achieve the desired tint and colouring, it brings out the hidden beauty of metal without the use of chemical dyes and reagents. 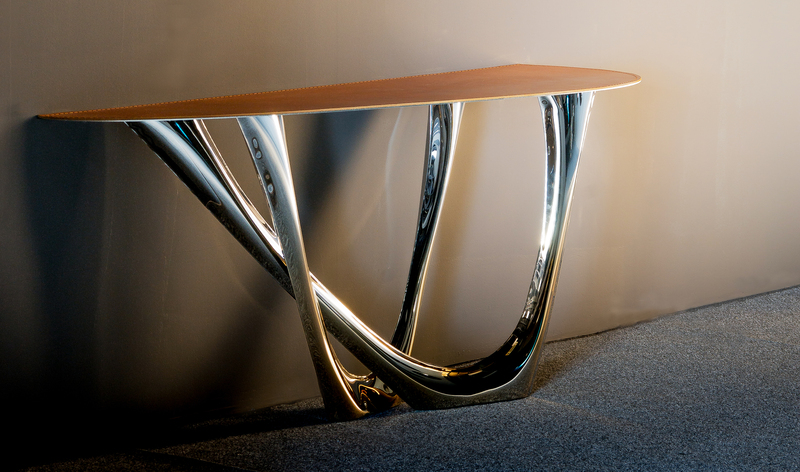 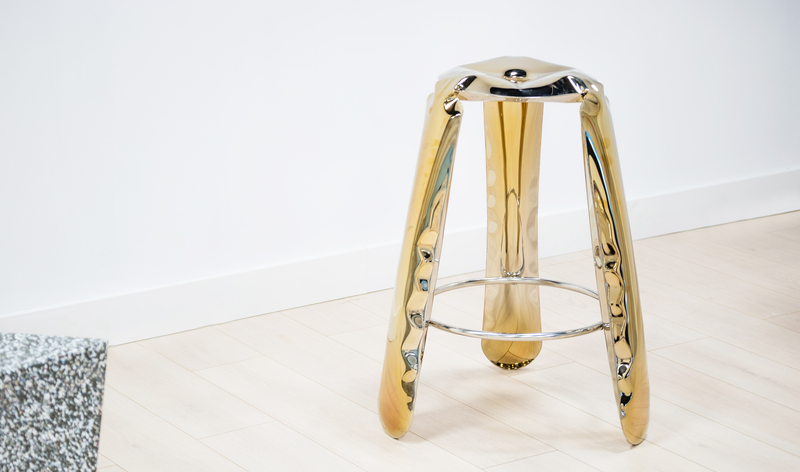 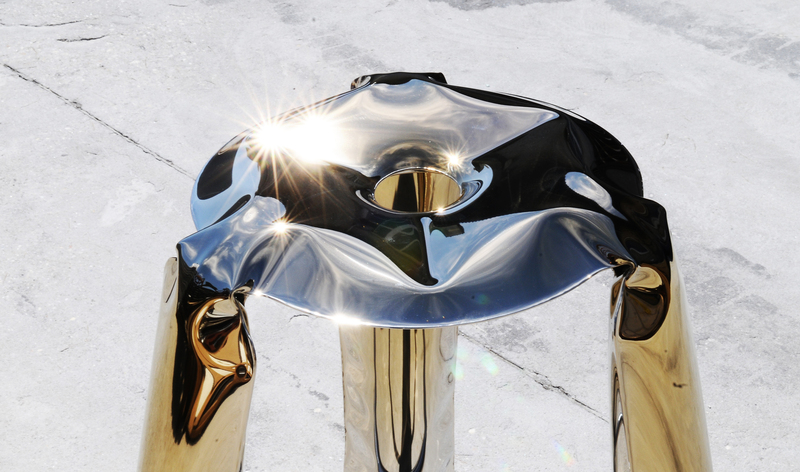 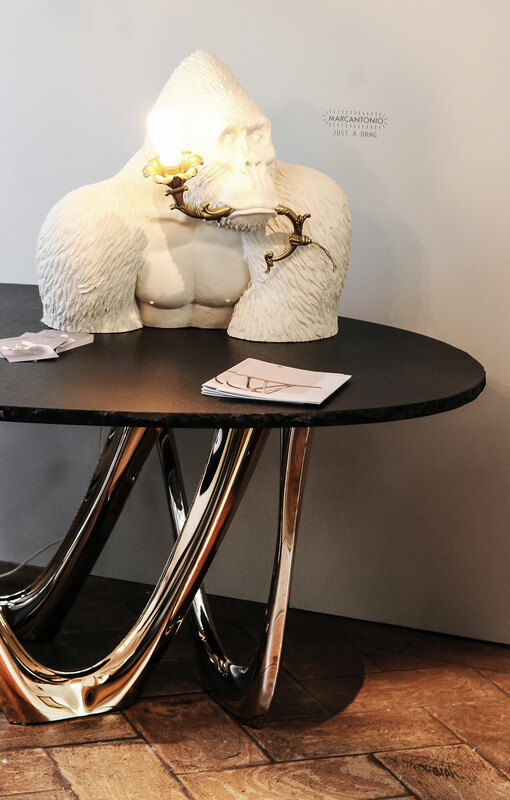 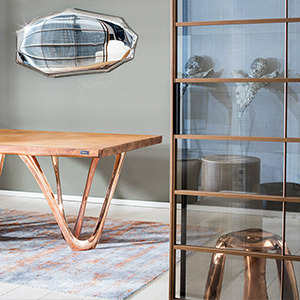 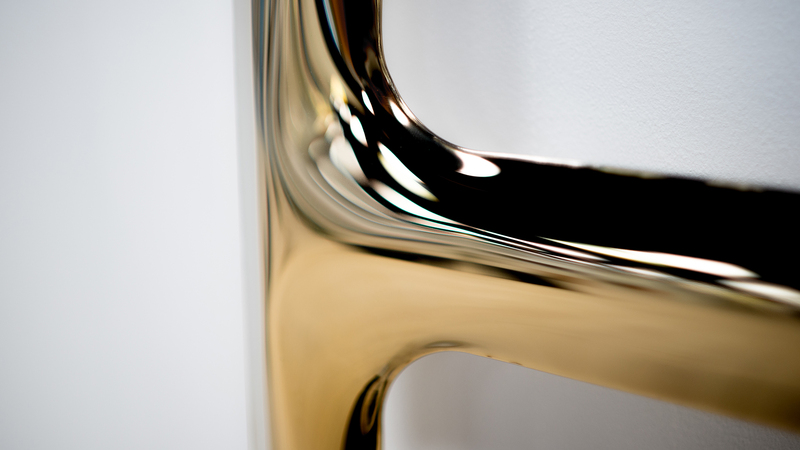 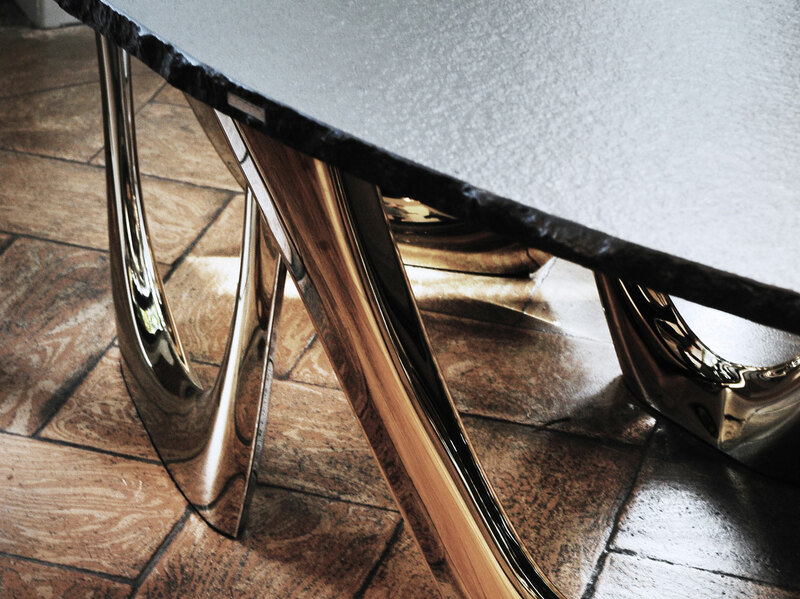 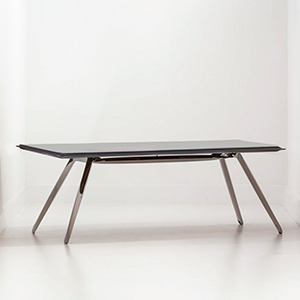 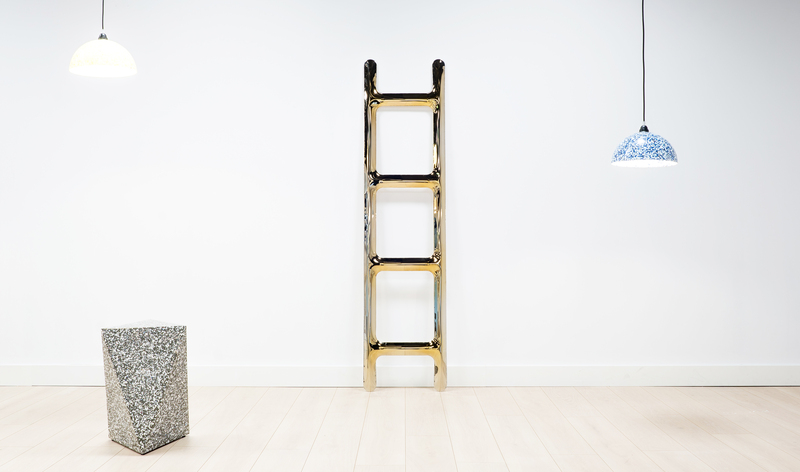 Gold inox G-Table was presented for the first time by Zieta at Rossana Orlandi Gallery. 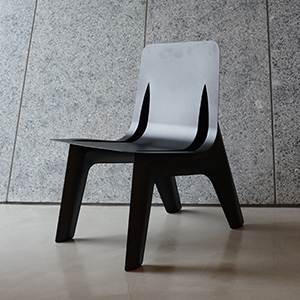 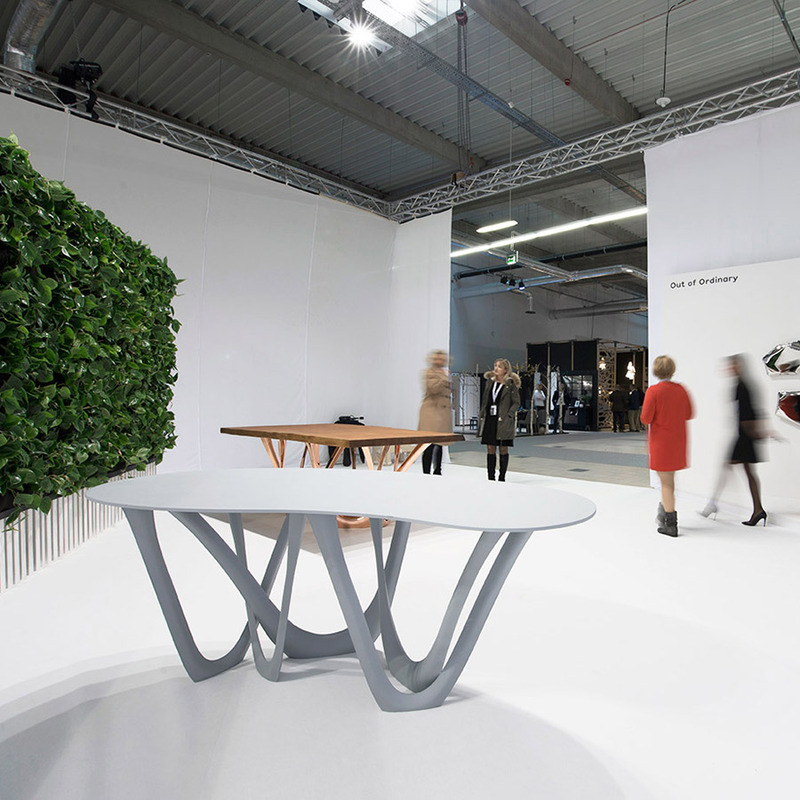 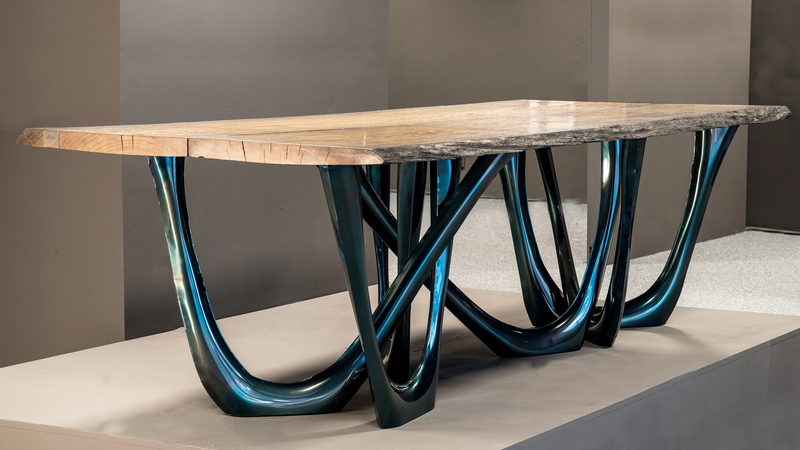 A custom made table, a bionic symbiosis of black granite with a leather texture and bionic legs resembling vines and roots.